Property investing is not without issues or challenges. There will be times in your learning curve when you make mistakes or when things seem to go wrong. Know your purpose and strategy for investing. This will help you make the right decisions when investing in property. For example: if your purpose is to gain financial freedom, your aim will be for your passive income to be more than your expenses. Your strategy will be positive cash flow properties. Keep track of your goals. If you keep track of your end goal, it will help you to put negative or bad experiences into perspective. Remind yourself you need to stay focused. Knowing you are on track to reach your goals will be a great motivator. Understand property investing is a business. Make decisions purely from a financial point of view and leave your emotions out of it. Manage your own expectations. It takes time to reap the rewards of property investing, it will not bring you returns overnight. Understand that expenses and problems will occur. Just fix them and move on with your business! When you feel you want to give up, focus on the long term future. Take a car for example. You don't give up on it just because it needs new tyres! The same goes for property. Look at your mortgage statements. Just seeing how far you have come and how much has been paid off can be a strong motivator not to give up. 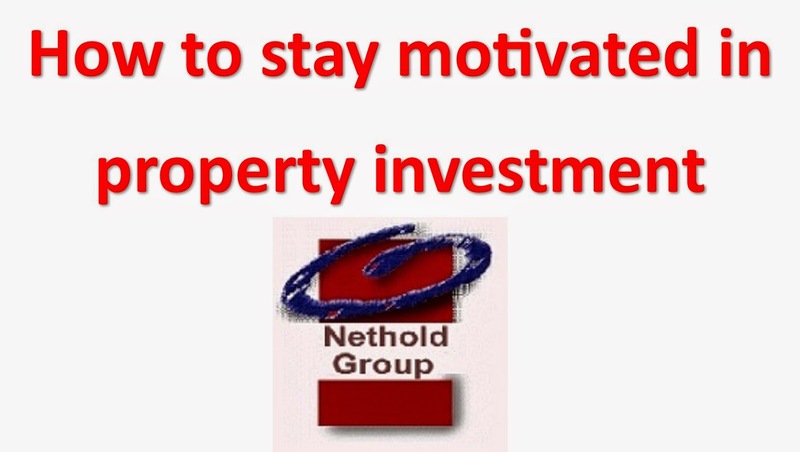 If you are interested in buying an investment property, Nethold Group might be the seller you are looking for. Nethold Group has under market value properties for sale. Nethold Group is not an Estate Agency and owns all properties that are for sale.